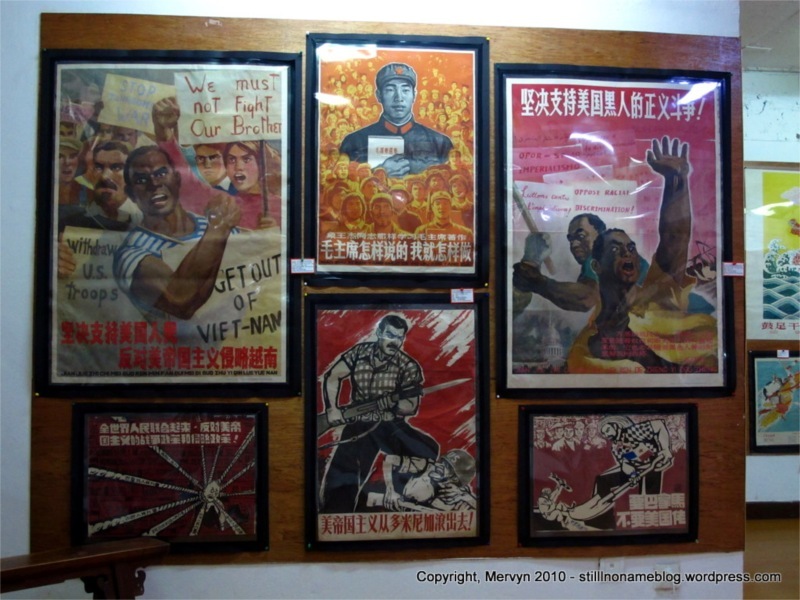 The Shanghai Propaganda Poster Art Center is one of Shanghai’s best kept secrets. It’s home to the most comprehensive collection of government propaganda posters in the world. These works of art range from 1949 to the 1980s and covers the Cultural Revolution and changing relationships between various communist countries. 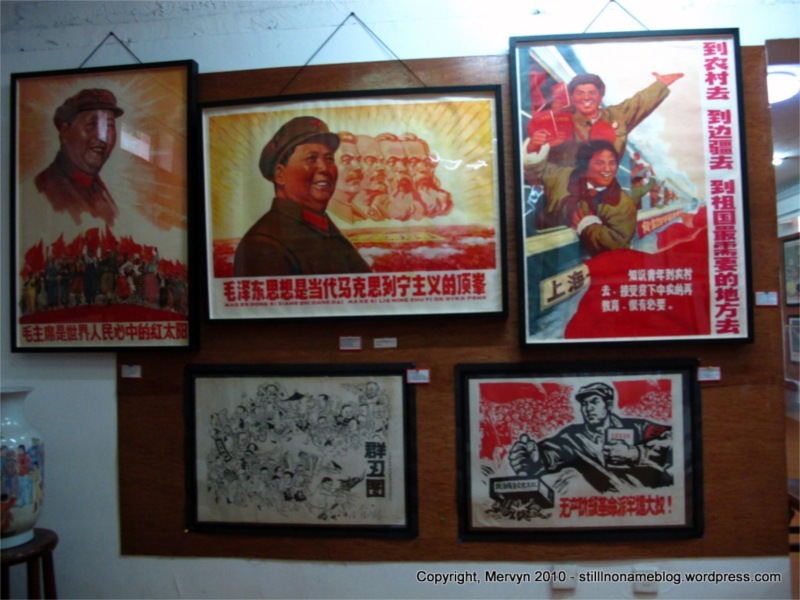 The Chinese government destroyed most of the posters after it decided that it didn’t want to perpetuate the cult of personality around certain leaders and that it no longer wanted to use the medium to present its message to the people. 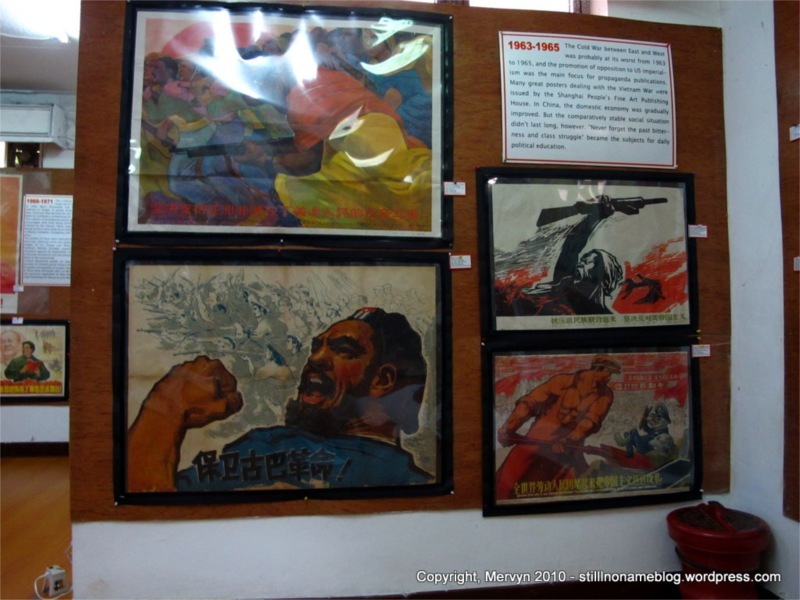 Lucky for us and the Chinese people, 5,000 posters were saved by the director of the Propaganda Poster Art Center. The collection is legal, but it isn’t something the government probably wants to highlight. This collection is certainly worthy of a center spot in Chinese history. It captures an idealized view of a period in China’s history. You can’t see the starving people or the persecution of intellectuals or the many hardships experienced by the Chinese people, but it is a window into the elites’ view of the world. It’s not in a large museum in China, however. Part of what keeps the Center a secret is its location: the basement of an anonymous apartment tower. The residential complex doesn’t have a sign advertising the Center. There’s no sign for the Center on the building itself. 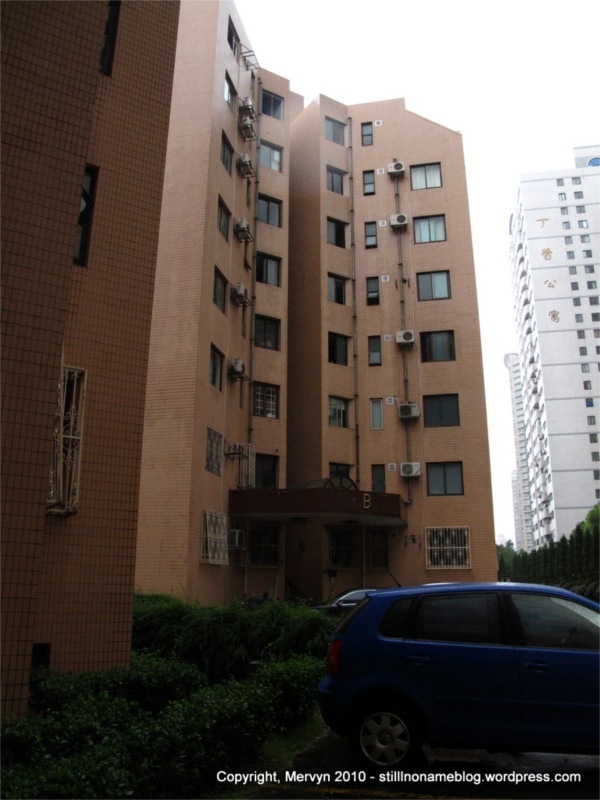 To find the place you have to know the address of the apartment complex. When you arrive at the complex, if you ask the guard about the Center, he will hand you what amounts to a treasure map. A business card sized piece of paper with a crude map and a dashed line that points you to Building B. This buried booty doesn’t even have an “X” to mark the spot. There are no markers for the invaluable national treasure buried beneath the building–not until the elevator doors open to the basement floor do you know for sure that you’re in the right place. The posters provide a visual history of China. At least the history that the government was pitching at the time. For the 1950s and 1960s the U.S. is portrayed as a green, hook-nosed, sniveling imp. 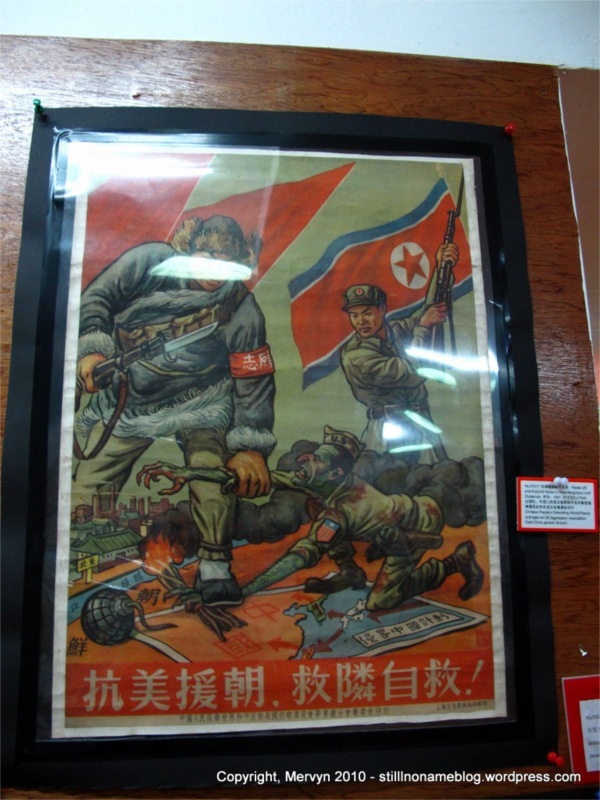 During that time period posters showed support for the Chinese-Korean effort to repel American aggression. One of the most fascinating relationships is that between China and the Soviet Union. At first, posters show a strong relationship. 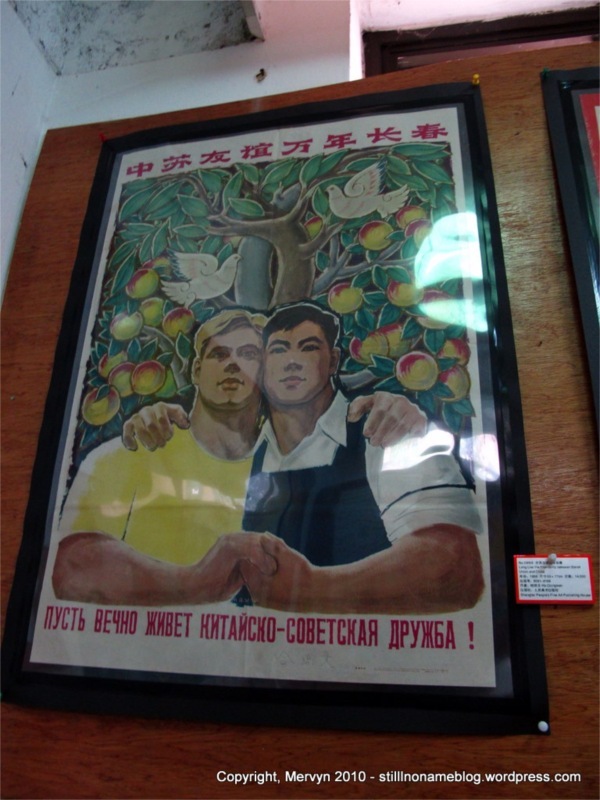 One depicts a blond Soviet and a Chinese man in an intimate embrace. Lenin peppers the propaganda posters alongside Mao and occasionally Marx. Ten years later, though, the relationship apparently soured. One poster denounces the Soviet Union and urges Chinese citizens to renounce Soviet revisionism. Lenin no longer features. Posters show Chinese official support for communist movements in Cuba, Africa, and South America; the Vietnamese struggle against the Americans; and, oddly, the Black Civil Rights movement in the United States. It’s not just posters either. There are paper cuttings—long pieces of colored paper that have been cut with scissors to depict inspiring scenes. There are also large, handwritten pieces of paper that used to hang in universities. This art form was popular for a time and students would write them out and hang them around campus to show support of government policies and ideas. At least that’s what I gathered from the little sign next to the hangings. I can’t read Chinese so I can’t confirm my supposition from the posters themselves. It’s a fascinating collection. A good afternoon escaped from the rain. In the evening, I met Beatrice and Lindsey for drinks and ended up going out until 3 a.m. They were supposed to have left for Beijing today but couldn’t find a cheap flight out. In the end, we stayed out until 3 a.m. doing one last tour of the nightspots for Beatrice’s last night in Shanghai. This city is a little crazy like that. The town doesn’t sleep. Between the nightlife and the World Cup until 4:30 a.m. every day, I have no idea when I’ll see daylight. GALLERY: Click through to see a slideshow of today’s pictures. 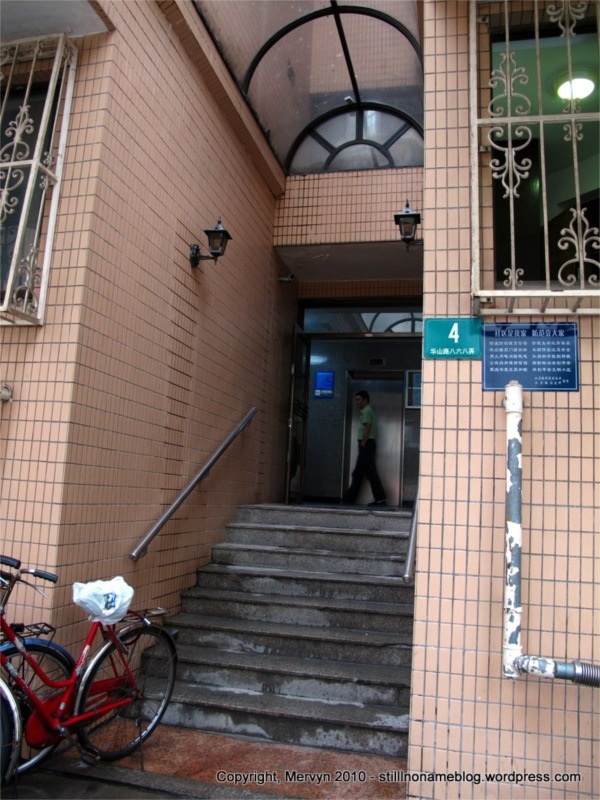 The Propaganda Poster Art Center is located in the apartment complex on the northwest corner of Huashan Lu and Wukang Lu. The Center itself is in the basement of Building 4. Just walk up to the guard booth at one of the two entrances to the apartment complex. They will give you directions to the Center. Before you trek out there, you might want to make sure they’re open. The Center can be reached at +86 (139) 0184-1246 OR +86 (21) 6211-1845.
this is what i want! propaganda! a poster or something! whatever you get! propaganda! Why does state-sponsored propaganda always have the best graphic design? Love it! Fear of the gulag inspires like nothing else.